Not many people call John Bruce JB anymore. He certainly doesn’t. I’m not even sure that I do; I think I say “hi John,” when I see him. But I still think of him as JB. He’s a nice guy. Rabelaisian, gregarious and back in college sort of the social focal point of the group of friends that was very much like my family during my first two years of college. If you read this blog regularly, you have met many of the members of that group, including Birdman aka David Kraus, Shane Curcuru and Michael Gerber. Even big Chinese lawyer Dennis Liu has made an appearance, and you might have read Shane’s and JB’s comments. They make them from time to time. June is a particularly good time to throw a party to JB’s liking, as his favorite foods are lobster and ribs. So Michael and I drove from Gloucester to the Bruce homestead in Northborough (I drove very briefly, while Michael spoke on the phone to his wife, Shoshi, in Israel; my driving terrified him enough that he made me get off the highway at the first possible exit after he was off the phone and switch places, which was fine with me). We stopped on the way for me to buy a bottle of bourbon for the birthday boy and for Michael to buy two bettas for a homemade gift he was preparing for JB: A blue betta over clear red stones, and a red one over clear blue stones, separated by a partition that could be covered by something opaque when JB didn’t want the two fighting fish to display their aggressive tendencies. Michael set up camp in the kitchen and started making tuna sushi rolls for everyone. “Should I bring one or two pounds of tuna?” He’d asked me. “Two,” I said, and I was right. Celebrating chez les Bruce has always necessitated joy and indulgence, and it still does. So after sushi I sat down next to Michael and we each ripped into a lobster. He instructed a young tween — someone’s daughter; I don’t know whose — how best to go at the crustacean. This was her first one and it was nice to see her learn. I then polished off an ear of corn and some ribs, grabbed my wine glass and hung out in the backyard where kids ran around and grown-ups drank beer and wine. Thank goodness Michael was driving. He’s a teetotaler. I’m going to the International Corporate Chefs Association conference in Newport, and I have trouble going to Rhode Island without popping up to Boston to visit a friend or two. Tonight I’m keeping my old college friend Michael Gerber company. His wife, Shoshi, is in Israel with their sons, five-year-old Nadav and three-year-old Gilad. Michael picked me up at South Station and then we headed to Newbury Street to have dinner at Boston Public Meat. That’s Pino Maffeo’s new restaurant, in the space of his old restaurant, L.
Michael actually found parking on Newbury Street, a feat at which he marveled for some time. He is a good and proper New Englander, from Lexington, Mass., although he lives in Gloucester now, and as such will eat pretty much anything from the sea. Slime, tentacles, six or more legs, antennae — none of it troubles him. Down his Yankee gullet it goes. But tripe, veal cheeks, rabbit? No way. “It’s a cultural bias,” he acknowledges with a shrug. He’s a biologist and middle school science teacher by trade, a naturalist by avocation, so he knows it’s all perfectly fine to eat. But it’s still not going to happen (or not often; I did convince him to try veal cheek when we went to Toro, Ken Oringer’s Spanish place, during its family-and-friends night; I don’t remember whether I convinced him to put tripe in his mouth). Michael also is Jewish, and, like me, comes from a liberal tradition that does not fuss with the troubles of dietary law. Shoshi, on the other hand, is a Yemenite-Israeli who was raised keeping Kosher and still sort of does, more or less, basically. So when they were setting up a household together, negotiations were in order, especially since Michael is the family cook. He agreed to abstain from consuming pork in the house. He would not mix milk and meat, but as a New Englander, lobster is simply part of who he is. He wouldn’t eat it in front of Shoshi if it bothered her, but he was darn well going to eat it. Okay, so it’s Friday night and Michael and I are preparing to have our Sabbath meal at Boston Public. We agreed to throw ourselves on the mercy of the chef, and let him send out whatever food he wanted, and appropriate wine to go with it, with the caveats that Michael would not be eating rabbit or pork this evening. Pork wouldn’t normally be an issue for him, but he and Shoshi are pretty serious about Shabbat, and although pig flesh is really no more anathema than anything else that’s not Kosher (it either is or it isn’t), the swine is nonetheless symbolic of everything that is (spiritually) unclean, and so to him it seems like a tacky thing to eat on Friday night. Rabbit, as we discussed, is simply cultural bias, although it’s not kosher either (indeed, in Leviticus, it’s mentioned before the pig on the list of things not to eat; so is rock badger, whatever that is). Pino, the chef, actually was at MIT that evening talking to an audience about molecular gastronomy, but he came back in time to make us steak and dessert. I introduced him to Michael, and they discussed the work of Michael’s friend, doctor Morgan Hott, who is using alginate, a popular molecular gastronomy tool, to grow materials for human joint replacement. 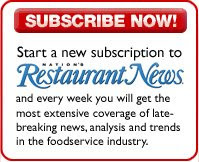 Starchefs.com has made its pick for the New York City chefs it deems to be "Rising Stars." They'll be honored on September 18 at the end of Starchefs' International Chefs Congress. What do I look like, Page 6? People do like their celebrity gossip, but this is a high-class blog, so if I'm going to report on the doings of famous people I haven't met, it's going to be world leaders. So, straight from a successful downtown restaurant company: “On Father's Day, Israel's Prime Minister Ehud Olmert dined at Tribeca Grill. Then on Tuesday June 19th, Vietnam's President Nguyen Minh Triet had Dinner at Mai House. Just another week in the life of the Myriad Restaurant Group,” so I’m told. I had lunch at The Modern today with Dean Max, chef of 3030 Ocean in Fort Lauderdale, the general manager of the Marriott resort where the restaurant is located, their publicists and assorted other journalists. Conversation ranged from regulations regarding catching Florida lobster (they have to be hand-caught) and counterfeiting of grouper (sometimes it's Vietnamese basa) to the next great hotel amenity (I suggested affordable minibars that might actually be used by regular people). GM Jim Mauer explained how hotels used to be luxury experiences for most people, but now most people's homes are nicer than hotel rooms — just think about what a drag it is to be somewhere without your cable TV, DVR/TiVo etc. So hotels have to keep ramping up the amenities. The term "bed wars" was used. And I actually tried an ingredient that I hadn't had before, which doesn't happen much these days. The amuse bouche was a tiny watermelon salad with what the server called "pine shoots." I'm not sure what they tasted like, because the tiny salad had all sorts of little elements I couldn't quite identify. Maybe I was distracted because I was so enthralled by the notion of a minibar soda that didn't cost $11. I thought the cookoff pretty much closed the Classic, but no, the big tasting tent opened, and there I heard of the pool party at the Sky hotel, and of another party at the Eagles club. But first I coincidentally ran into Greg Graber, who went to East High School in Denver with me and also happened to live in Bangkok when I did. Now he's a buyer of non-performing mortgages and spends his time mostly between Denver and Los Angeles. At the pool party I drank margaritas, got better acquainted with San Francisco mixologist Duggan McDonnel and caught up with chef E. Michael Reidt. I also chatted with young Justin Amick, whom I had met the night before -- or was it the night before that? -- at the 212 House. He's the son of Atlanta restaurateur Bob Amick, and plans to join him in the business. The 212 and pool parties were similar in that they were the sort of parties held behind the second velvet rope of trendy clubs. You have to get past one rope just to get in -- that would be going to the Food & Wine Classic in the first place -- but then you have to be cool enough to get past the second rope to go to the best parties. It's elitist, but fun if you're part of the in crowd. I didn't get to go to the much less exclusive publisher's dinner atop Ajax mountain two nights before, so I had duck confit lettuce wraps and carne asada tacos at Blue Maize with Erica Duecy, her friend Gibson, whom she met on a press trip to Italy, and his wife Heather. Anyway, the pool party drew to a close shortly after Steve Olson and his entire crew ended up in the pool. The distributor of a high-end collection of mezcals also jumped in the pool -- he was the only one to do so bare naked. So from there I wandered over to the Eagles club, where chef Todd Downs had invited me. There I hung out with a very friendly group of local cooks and assorted others and munched on top-notch beef and lamb chops while drinking punch and wine. We moved inside as stragglers from other parties showed up. I rehydrated on water, which seemed to annoy the bartender, and then wandered home. Speaking of water, the water company that was one of the sponsors of the Classic estimates that it gave away 70,000 bottles of the stuff over the weekend. The seminars organized at the Food & Wine Classic in Aspen for people in the restaurant business were pretty good, which is nice since I have to write about them for Nation's Restaurant News. NRN, incidentally, got three plugs during the panels: once when Drew Nieporent expressed frustration that his Tribeca Grill hadn't been inducted into our Fine Dining Hall of Fame, once when USA Today's Jerry Shriver said he read NRN to spot trends, and once by Dana Cowin. She told those who attended the panel about handling national press to pay attention to the local press and the underlings in national media. She said you might have met someone when they started as "an associate editor of Nation's Restaurant News, and now they're running something." I happened to be sitting at the same table as my former colleague, Erica Duecy, who now is running some things at Fodor's, so of course I pointed to her, as she's the only one I know off the top of my head who used to be an associate editor ("field editor," actually) at NRN and now is running something. I invite you to read Ben Leventhal's coverage of what's going on here in Aspen. It's by no means comprehensive, but he's doing a good job of highlighting the things that might amuse consumers about the Food & Wine Classic in Aspen. Ben's a good guy. You'd like him. If you want to be scandalized about irresponsible, scurrilous rumors in the restaurant industry, read someone else; Ben's rumors are more measured. He was called out by Food & Wine editor Dana Cowin in this morning's panel for people in the restaurant trade. The panel was about working with national press. She asked him, basically, what's up with blogs and why don't we understand you? And he basically said, we're an open book, send me an e-mail and let's talk. Yet Ben's presence at the 212 House last night -- the de facto Aspen Classic after-party -- caused some minor kerfuffles. As an important chef was regaling a circle of people about past acid trips (scandal! A chef over the age of 24 has done acid! ), an important publicist whispered into his ear about, um, shutting up because of the presence of bloggers. Said chef actually looked at me with a bit of leariness until Ben was pointed out, even though, from what I understand, Ben had been more or less muzzled as a condition of being let in to the 212 House. I saw nothing scandalous at 212 House. I did see Thomas Keller hanging out with what I think is his ex-business partner Laura Cunningham, but that's really sweet rather than scandalous. I saw Jean-Georges Vongerichten, which is slightly unusual, but not scandalous. I found myself spending time with some of the United States' greatest chefs and beverage specialists, and with some of the high-end food scene's coolest people -- an agglomeration so cool that I didn't want to leave at 2:30 but instead drank more water, until I finally did leave at 3. But if anything was going on that would have made it on to Page 6, I either missed it or I'm not telling you. During my recent vacation in Denver, my eight-year-old nephew Harrison, who goes to sleep to the Food Network (he finds it less scary than The Weather Channel, which sometimes reports on frightening storms), wanted to get an idea of how well I knew some of the celebrity chefs. So he asked me if I knew Bobby Flay's favorite color. I explained to him that grown-ups don't actually talk about their favorite colors much, and that at any rate I didn't know Bobby Flay very well. Although I'd interviewed him over the phone once or twice, he doesn't seem sure of who I am when he sees me. He seems aware that he should acknowledge me, but he's not sure why. That's totally understandable. There's no reason why he should know me. I have many similar relationships with people. For some reason I have been seeing a lot of Bobby Flay here at the Food & Wine Classic in Aspen. I ran into him in the elevator of the St. Regis Hotel yesterday, apparently after he'd been working out. "What's goin' on?" he asked. But this morning I ended up at the same table as he and his cohorts during a panel discussion in which Food & Wine editor Dana Cowin asked Steve Ells, Drew Nieporent, Thomas Keller and Tom Colicchio about the future of fine dining. Like me, Bobby Flay likes to comment to his friends in the middle of panel discussions. So when Dana introduced Steve Ells, the founder of Chipotle, Flay leaned over to his business partner, Laurence Kretchmer, and said, "It's good food." At one point during the discussion, Drew sort of started insulting everyone, and everyone at the table seemed to get a big kick out of that. He even managed to take a swipe at Bobby Flay (and Nation's Restaurant News, which continues to anger him because we haven't inducted his Tribeca Grill into our Fine Dining Hall of Fame, but the magazine staff can handle it). He said he couldn't imagine Tom Colicchio's face on a bucket of chicken, but "Bobby Flay's, yes." "Was I just insulted?" he asked Kretchmer. "A little bit," was the response. "He's speaking from the heart," said Jose Andres, who had seated himself between me and Flay, with a shrug. Flay also asked Ells a great question about what food was prepared on-premise and what wasn't, and Ells' response was extremely forthright, as it usually is from him but rarely is from many other chain restaurant operators when it comes to those sorts fo details (basically if it's braised, it's made off-premise, but by Chipotle, not by suppliers or manufacturers). Flay also asked Andres about a project the Spanish chef was working on in Los Angeles. I thought I had a little scoop, but it turns out that my colleague Milford Prewitt wrote about it awhile ago: He'll be involved in the redevelopment of Le Merdian hotel on La Cienega. The new property, SLS, is being designed by Philippe Starck. I did pop out briefly last night, into the cool air in search of non-alcoholic beverages (Aspen tap would have been fine, but I guess I wasn't ready to throw in the towel for the evening). I ended up being waylaid by some folks from PR company Bullfrog & Baum and we ended up at 212 House, an after hours spot being run by good old Scott Feldman. I drank several bottles of water from the sponsoring company and swapped stories with Chris Lee about fussy eaters we knew (his wife Melissa gave me a brief talking to for not going to bed). And I saw chef Todd Downs, who's here cooking for the California Raisin Board. I've been told that high altitude affects a person's ability to hold alcohol. I think that makes sense scientifically, but I had never experienced it, until tonight. Maybe it was the three ice coffees I had on my drive from Denver to Aspen -- one in Golden, one in Frisco and one in Leadville -- maybe it was part of the unjustifiable anxiety I felt in driving above the tree line to get over Independence Pass, or maybe it was just one of those things you hear about when people feel woozy at high altitude, but I didn't feel right after that first glass of Champagne in the "green room" of the Food & Wine Classic in Aspen (it used to be the Classic at Aspen, but I was told today that they changed it two years ago). The green room was in lieu of the usual gift bags; you just went there and took whatever merchandise the sponsors had laid out for media and VIPs to take. I filled my bag with chazerai to give to my family in Denver, sipped Champagne and felt woozy. So at the opening reception I drank water before having a glass of wine. Then I had more water and chatted with people (including Steven Holt, who used to do PR for the Jerome Hotel and took me under his wing at my first Food & Wine Classic, which was at Aspen, but now Steven is at the Ritz-Carlton Bachelor Gulch in Beaver Creek, where the fourth Spago will open sometime soon; you learn something new every day) before sampling a Manhattan made from a high-end single malt. I was feeling better by the time I climbed into the front seat of a Lexus that had been hired to take invitees to the Wines from Spain party, where Jose Andres and his crew were cooking, and also slicing sausages and thin pieces of jamon iberico. I chatted with local Aspen press, and with wine consultant Steve Olson and a bunch of other people, while drinking wine and neglecting my water, until someone collapsed on the floor and had a brief siezure. She recovered quickly and seemed coherent, but it was a reminder of the need to stay hydrated. An ambulance was called and I went downstairs for some of the Spanish bottled water that had been imported for the party. Many tall people in the right clothing and with a lot of gel in their hair were at the party. I wondered who they were and where they came from. I suppose I could have asked them, although you have to choose your words carefully in such situations. Instead I hung out with New York journalists, eating pork products, gazpacho shooters and oysters with lemon "air." One of those journalists, Amy Cortese, suggested we repair to the Little Nell, where word had it that a party featuring American caviar was afoot. We wandered over there while Rachel Wharton of the New York Daily News and I expressed outrage at deceptive food marketing (like the fruit-pops I saw in Denver that were marketed as having only 19 calories per ounce; soda only has 13 or 14 calories per ounce). We got to the Little Nell early and lay on the recliners around the pool until the party started. Then I ate domestic sturgeon roe and French trout roe while drinking Tokai Friuliano and noticing more tall, fair-haired people. But these looked less like socialites and more like people I went to high school with in Denver -- stereotypical Coloradans with sandy-brown hair and an apparent readiness to go snowboarding or mountainbiking at any moment. I got in line for more Tokai and was greeted by Ti Martin of the Brennan clan (the New Orleans Brennans, first family of American foodservice). We hadn't seen each other since the last time we were in Aspen, several years ago, and neither of us had been to Aspen since. Ti said her plans had been scuttled by "that stupid hurricane." But she said everything was coming back together. I wanted to talk more about Katrina, but she changed the subject and we exchanged our opinions on a variety of matters, such as the Tokai we were drinking and the cooking of Grant Achatz. Soon, however, I was aware of my parched throat and the need to rehydrate. I excused myself and began my search for water as Chris Lee, the chef of Gilt, arrived with his wife Melissa and sommelier Jason Ferris. "Are you staying or going?" Chris asked. As I squawked about my need for water Melissa sent me to my hotel, which is where I went. I've just realilzed that I eat differently depending on who I'm trying to impress. That's kind of pathetic, I know, but it's food for thought as I prepare to head up to Aspen for the Food & Wine Classic there. I'll be driving up there tomorrow; at the moment I'm in Denver for family time. I arrived last Saturday and have been mostly hanging out with family -- Mom, Dad, brother, sister, sister-in-law, nieces and nephew, aunts, uncle, cousins. I also reconnected with Pam Paulien, a friend from back in fourth grade, who is moving into one of my family's apartment buildings (sort of; they're actually turning it into a co-housing development, a dream of my sometime-socialist mother). And I did my usual obligatory walk down East Colfax, where I stopped in tHERe bar & lounge and had iced coffee with a truck driver named Sonya. And of course I've checked out some restaurants. I went with my sister-in-law Helen Thorn, her son Harrison and my niece Tahirah Thorn to Amazing Jake's -- one of those places where you can eat and play video games and ride bumper cars and play laser tag. The price of admission included an all-you-can-eat buffet, and I stuck exclusively to the salad bar, loading up on greens and drizzling it with a little basil oil and balsamic vinegar. Now, had I been on my own, I might very well have loaded up on Mac & Cheese and pizza, but it seemed reasonable to model for the kids. Had I been in a restaurant where the chef might know me, I would have ordered whatever was most obscure or "cool" in the eyes of a chef -- sweetbreads or something with cockscombs. Had I been trying to assess whether the restaurant was any good, I would have ordered signature dishes or anything else the restaurant seemed to be hanging its hat on. Later in the week I took my brother, Todd (Thorn, obviously), his wife Helen, and their kids Harrison and Alia (a tender 11 months and just the sweetest thing, unless she's tired or hungry or otherwise out of sorts) to Rioja, where I did a combination of eating what I wanted, modeling and trying to find a wine my relatively teatotaling brother and sister-in-law would enjoy. So I picked a Suttcliffe Vineyards Gewurtztraminer to drink. It's a Colorado wine, and I'd interviewed the winemaker for an article I'd written on the Four Corners region, so I wanted to try it, and I thought it would appeal to Todd and Helen's sweet teeth, but Helen found it too light and Todd didn't comment, so I guees I should raise the ante next time and get a German Riesling. I ordered some braised pork belly (called "fresh bacon" on the menu, which was cute), to show Harrison the desirability of being adventurous (he seemed more interested in his Game Boy, which is reasonable, but you never know exactly what kids pick up), and then in the interest of moderation, to model the value of moderation, and because I wanted to try it, I ordered the vegetarian main course, which was a tasting of four different vegetable preparations. It was a lot of thought for a simple dinner, but a good time was had by all. And now it's time for me to go. We're dining at Texas de Brazil this evening. It's a churrascaria, so I shall be eating large quantities of meat. I might even skip the salad bar. You might remember my first encounter with Kenyon Phillips, but maybe you don’t as it was 14 blog entries ago. But whenever I meet someone who can engage in quick elevator banter about imagined criminal activity, I try to stay in touch, especially if he’s a musician who’s work I enjoy. So I e-mailed him — nice meeting you, blah blah blah, always looking for people to check out restaurants with, yada yada. And I asked him about dietary restrictions. What happened to the bacchanalian rockers of yore? (My other rockin’ friend, Peter Yanowitz of Morningwood, doesn’t eat meat either, although he does eat fish). I suppose I could have written back: “Well, I’m sorry then, but we cannot be friends.” But I’ve learned that vegetarians are not necessarily bad people. So I took him to Kampuchea, a restaurant with a strong Cambodian accent on the Lower East Side. “Kampuchea” is kind of an odd name for a restaurant. It simply means “Cambodia” in Khmer, that country’s national language, but the outside world only referred to Cambodia thus — in modern times, at least — under the rule of the Khmer Rouge, who were a bunch of murderous bastards. Cambodia, being a poor country albeit a Buddhist one, doesn’t have many vegetarians. People eat pretty much whatever they can there. But a Cambodian restaurant on the Lower East Side would have to be vegetarian friendly, even though chef Ratha Chau is pretty hard-core in his desire to reproduce the flavors of the country where he was born. He doesn’t hold back with the spices, and Kenyon, a southern Californian, and I actually suffered from chile overload while eating from the pickle plate. That doesn’t happen very often in the Northeast. Despite Kenyon’s dietary shortcomings, he proved to be an excellent dining companion — and one highly dubious of, but open-minded about, tofu. It was fun getting acquainted and swapping childhood stories and opinions on music (not surprisingly, we agree on our dislike of Emo). We even exchanged 9/ll stories — everyone who was in New York at the time has some, of course. And we both appreciated the artwork on the walls in the bathroom — people with light bulb heads performing the bodily functions that one performs in a bathroom. It reminded me of the Japanese “Story of farts,” of which I had actually read the Thai translation (if you choose to follow this link, I have to point out that Martha Gordon seems to be a humorless prig with an anti-dairy bias). Aquavit has two summertime celebrations: Herring Week and the Crayfish Festival. Owner Håken Swahn and chef-owner Marcus Samuelsson always hold a little reception for the press to let us know about them. Herring Week starts next week, the reception was today, so my boss Pam Parseghian and I walked over for a snack. The reception was in Aquavit’s private room, at the far end of the bar which was unusually packed for a Wednesday at 1pm. To my delight, at the reception I ran into young Nick Pandolfi, the baby brother of my friend Erica Duecy’s husband Jono. Nick just finished his junior year at NYU (can you believe it?) and, having just interned at Spin magazine is now interning with my friends at Food & Wine. He looked very pleased. I also chatted with Johan Svensson, the executive chef, who said lunches have been crazy busy for the past three weeks, and no one knows why. He wasn't complaining, of course, but he wondered what precisely was going right. Håken, speaking to the crowd, pointed out that Aquavit is 20 this year — an unusual feat for a New York restaurant. He also said they would be opening an Aquavit in Stockholm this February, which is nice. But of far more interest was his announcement of the opening in about a month of a commissary that would provide baked goods for a chain of AQ Cafes he hopes to open in New York. Further investigation is required. Marcus told the room that, during a recent conversation with Gourmet editor-in-chief Ruth Reichl, she told him that writers were pitching more stories on Scandinavian food than anything else. I think maybe she was exaggerating. Can you please explain what this sentence means? Have you ever met anyone who for whatever reason just doesn’t like you? There’s a producer for one of the national early morning news shows like that. At least I think she doesn’t like me. I always sense when she glances at me that she’s feeling a combination of boredom and disgust. It’s unsettling. And I was already unsettled today. I thought I put on a suit this morning until I looked down during my subway ride and realized that my jacket didn’t match my trousers. I have no excuse. I mean, I was at dinner last night with publicists at Pera, but it wasn’t such a late night that I shouldn’t have been able to see in the morning. Believe it or not, business attire is required at the offices of Lebhar-Friedman, Nation’s Restaurant News’ parent company, but not between Memorial Day and Labor Day, when business casual is permitted. At any time of year it’s okay not to wear a suit — trousers and a sportcoat are fine — and wearing a suit jacket instead of a sportcoat is really just a minor faux pas in this modern era, as long as you look like you did it on purpose. But I was wearing two different patterns of dark pinstripe. I looked like an idiot. And I was having lunch at Daniel, which is why I tried to wear a suit in the first place. I don’t know if Daniel actually enforces a jackets-for-gentelmen dress code, and at any rate I’m pretty sure they’d let me slide at a press luncheon in the private dining room, which is where I was eating. But it seems wrong to walk into Daniel without wearing a jacket. Then again, it also seems wrong — indeed it is wrong — to go to a press function looking like an idiot. I didn’t see that I had much of a choice, though; I don’t have an off-the-rack-shaped body. So I went to Daniel in my mismatched suit, resolving to stand in the shadows or shift around confusingly to keep people from noticing that I didn’t match. Of course no one said anything, but that producer who hates me was there. She didn’t arrive until right before we were being seated, though, so I’m just going to go ahead and assume she didn’t notice. We were at lunch to enjoy the food of Gavin Kaysen, the young chef — just six years out of culinary school — of El Bizcocho at the Rancho Bernardo Inn in San Diego, who was visiting. Gavin's also one of Food & Wine magazine’s ten "Best New Chefs” this year, so I’ll be seeing him soon in Aspen anyway. He represented the United States in the most recent Bocuse D’Or competition, which is what most people who follow such things consider to be the most rigorous culinary competition in the world. Gavin spent a year preparing for the competition, as one does, and came in 14th out of 24, which isn’t bad at all, especially, Gavin said, considering what happened during the competition. Obviously I asked him what he meant, and he told the story of their French assistant, "Kevin,” (Gavin’s eyes narrowed), who inexplicably ate the chicken wings that were to garnish one of Gavin’s plates, something that Gavin didn’t notice until it was time for the plates to go out. Berry fruit soups, followed by an assortment of chocolate desserts, which of course were followed by his famous madeleines. Matt and Ted Lee have a lot of friends, or at least they can get a lot of people to show up at a party, as I found out this evening, the first truly warm night of the year. The Lee brothers were celebrating the fact that their cookbook had taken top honors at the James Beard Awards by throwing a party at an art gallery in the Brooklyn neighborhood of DUMBO*. The party didn't start until 9:30, so not only did I have time to go home beforehand, I actually had time to kill. I also had to find my way to the F train, which is in southern Park Slope. I live on the other end of the neighborhood, near Grand Army Plaza, and so I decided to wander down 5th Avenue (more interesting than 7th Avenue, although farther from the subway) and eat at whatever restaurant caught my eye. The ever-popular Al Di Là had a wait of just 20 minutes, at 8pm on Friday, so I took them up on it, relaxing with a glass of Sancerre in their neighboring wine bar until I was summoned to my table, where I started with the special of grilled sardines over salad greens and then had cazunsei, a type ravioli, with beets, ricottta and poppy seeds. With dinner I drank a couple of glasses of Erbaluce, a Piedmontese white wine made from the indigenous Erbaluce grape, which I had just recently learned about (high acid with floral and herbal notes). Feeling slightly bad that I was dining solo at a table of two, I gave up my table and had coffee at Cocoa Bar, drinking it as I walked to the F train. I got to the party at 10:30 and it was in full swing. I congratulated the Lee brothers and chatted with Salma Abdelnour briefly before getting in line for beer. Then Julie Besonen from Paper arrived with her husband Jim Knapp, and I got back in the beer line with them and caught up. You would think that an art gallery would have air conditioning, but I guess not. People were still psyched to be there, though, although half of them stayed outside and chatted. I talked to a couple of publicists and then decided it was time to go. Since it was only 11:30 I stopped by Excelsior for a beer once when I was back in my neighborhood and then went for a stroll. I was stopped by jazz music coming from a storefront I'd never noticed before. Turns out it was Puppet’s Jazz Bar, which I learned was in fact a couple of years old and I just hadn’t noticed, and now it’s losing it’s lease, or so the owner tells me. He’ll be throwing some fundraisers in an attempt to relocate, so stay tuned for more information on that. I drank Australian Shiraz and listened to the music. Victor Bailey was in the audience, too, wearing a T-shirt with a bass clef on it. He sat in on the bass for a song or two, shrugging off praise. It was a nice way to end the evening. *Non-New Yorkers might not know that that means "down under the Manhattan Bridge overpass."